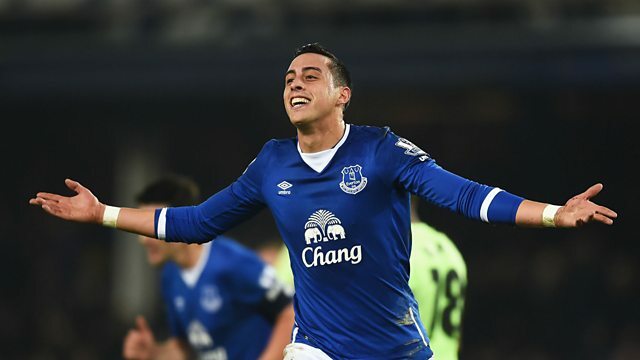 Reaction to Everton’s 2-1 victory over Manchester City in the first leg of their League Cup semi final. Mark Pougatch is joined at Goodison Park by Danny Mills, Alan Green and Jason Burt of the Telegraph, as Everton beat Manchester City 2-1 in the first leg of their League Cup semi-final. There’s reaction from both Roberto Martinez and Manuel Pellegrini. Plus, Everton fans revel in their victory, while Manchester City fans try to work out how to get the best out of Yaya Toure.